Value for money. Welcome pack with water, tea and coffee as well as a dish washing set. The location was good: walking distance from the lifts (15 minutes). The apartments were big, clean and comfortable. The staff was available and friendly. Great view to the mountains, big comfy bed, very warm and cozy, all the amenities, useful kitchen. I'd like to stay again! Free street parking. It has a beautiful mountain view it’s a stone building. Kitchen and other stuff are enough. Spectacular views from balcony, clean flat, nice village! This place is in my TOP3, will be back! The receptionist lady and manager are very responsible and patient! Big and comfortable apartment with a great panoramic view. Fully equipped. Staff is really nice: especially Marcia -- very welcoming and helpful lady! Apartments are very convenient, new and clean. And view was excellent! Lock in a great price for Aparthotel Ona Dorada el Tarter – rated 8.7 by recent guests! Aparthotel Ona Dorada el Tarter This rating is a reflection of how the property compares to the industry standard when it comes to price, facilities and services available. It's based on a self-evaluation by the property. Use this rating to help choose your stay! One of our best sellers in Ransol! 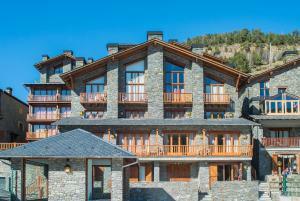 Aparthotel Ona Dorada el Tarter is set less than 0.6 mi from Andorra’s Grandvalira Ski Resort. 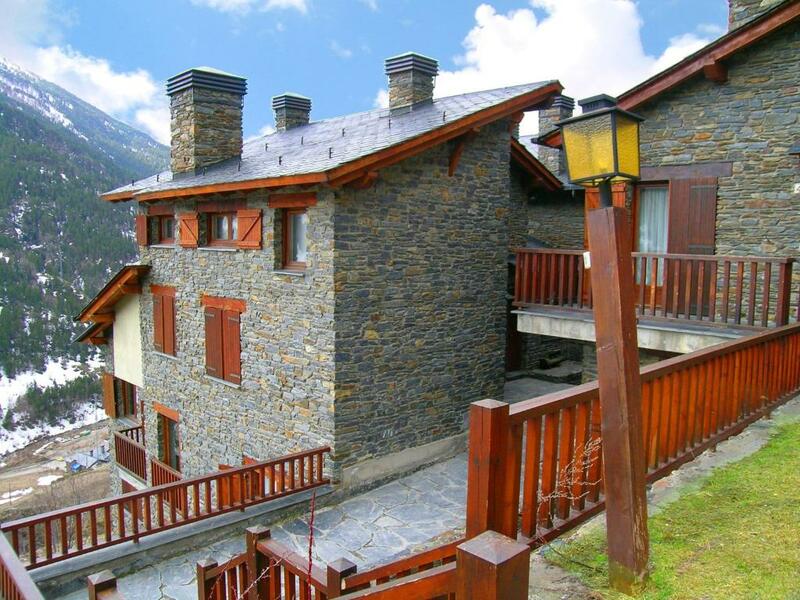 It offers good-value accommodations, ideal as a base for exploring the Pyrenees. Aparthotel Ona Dorada el Tarter is located less than 0.6 mi from the ski elevators of Soldeu el Tarter. The area is also ideal for walking, climbing and other outdoor activities. The center of Canillo is only 2.5 mi away. This property is also rated for the best value in Ransol! Guests are getting more for their money when compared to other properties in this city. When would you like to stay at Aparthotel Ona Dorada el Tarter? This apartment features a dining area, tea/coffee maker and kitchenware. 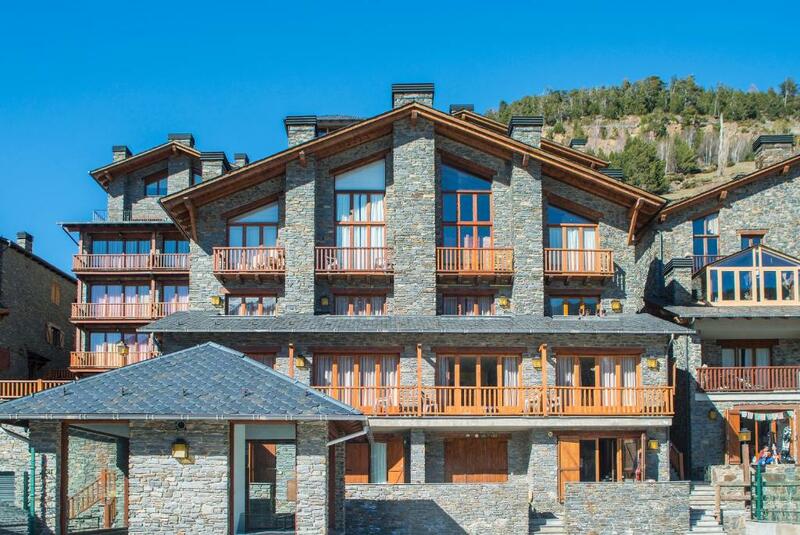 Our aparthotel Ona Dorada El Tarter in Andorra is a spectacular and noble building made of wood and stone that lies at the foot of El Tarter mountains. This mountain resort offers smart 1 and 2 bedroom apartments fully equipped. Spacious allotments consisting of a living room, bathroom, kitchen with fridge, microwave and a balcony. Andorra is a very popular holiday destination all year around, even in summer since there are excellent paths to practise trekking, scuba diving in mountain lakes, horse riding and many other activities for the whole family. 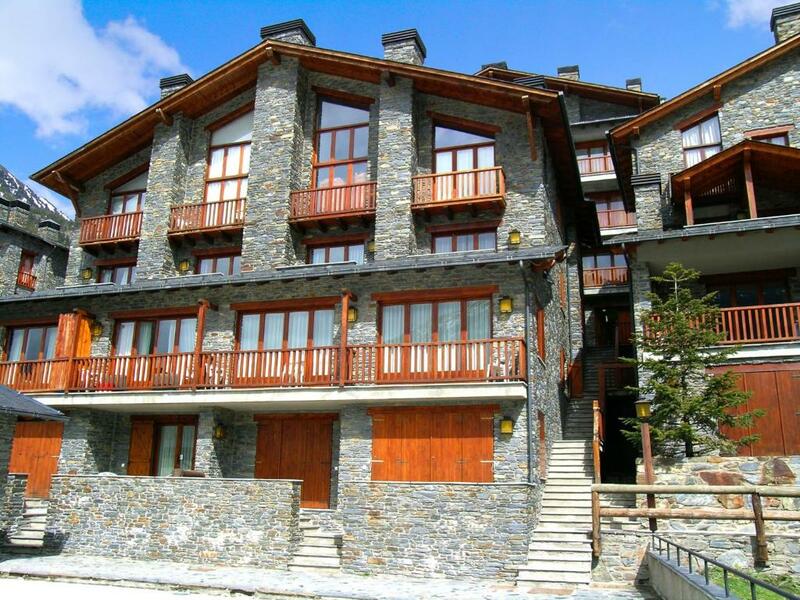 Ski lovers should know that Ona Dorada el Tarter is situated in the village of Ransol, in front of the skiing station Grandvalira. Nearby you will find restaurants, bars and a leisure centre with sauna, solarium and gym. Furthermore, Andorra offers the largest recreational spa in southern Europe: Caldea, which offers you a wide choice of activities for getting fit, healthy and beautiful. You will find peace and calm with the beneficial effects of its thermal water. House Rules Aparthotel Ona Dorada el Tarter takes special requests – add in the next step! Aparthotel Ona Dorada el Tarter accepts these cards and reserves the right to temporarily hold an amount prior to arrival. The room was cleaned up only once (and just partly) in a 7-day stay. We had problems when showering: at the time when everybody takes a shower yoy get very low pressure and colder water. The comfort of the beds could be improved. An oven would be highly appreciated for family winter meals. The amazing view. Nice and quiet place. Furnitures are a bit old. Internet is for fee. It must be free. Also parking was not free even so the apartment is in a small village. The paid Wi Fi, where you are paying for user! The parking is quite difficult for non experienced drivers. Apartment exceeding the expectations, and amazing views. Very comfortable rooms, and we especially appreciated the complimentary breakfast! Would be great to have a teapot in the apartment.